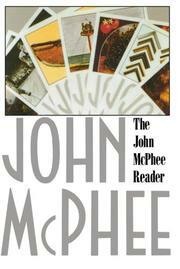 The widely admired John McPhee is a modern journalist whose personal travelogs avoid the obtrusive presence or confessional tone common to many of his contemporaries. From his first New Yorker profile, "A Sense of Where You Are," to his most recent book, The Survival of the Bark Canoe, his work has been graced by a spare, resonant prose, immersing readers in places like Philomath, Georgia 30659 or the fleabag streets of Atlantic City named on the Monopoly game board. Collected here, and briefly introduced by William Howarth, are selections from each of his twelve books. Probably best know are The Pine Barrens, a long, involving visit with some New Jersey "Pineys" resisting encroachment, and Levels of the Game, in which the sharply contrasting personalities of Arthur Ashe and Clark Graebner are played out against their tennis styles during a match. And in Pieces of the Frame, there's a morning spent with Jimmy Carter, canoeing down the Chattahoochee River with two unforgettable ecologists, before a grilled-cheese lunch in the Governor's Mansion. Choice excerpts from a master craftsman.